Summer Blockbuster Special! Which Movie Theater Chains are Anti-Gun? It's nearly summer, though with 100-degree temperatures at our headquarters in Colorado it feels like it's already here. And what better way to get out of the heat of the balmy months than heading to see one of many blockbusters hitting theaters this year? Well, if you're a concealed/open carrier then you know finding movie theaters that are pro-gun is getting tougher and tougher. Especially following the 2012 Dark Knight Rises Theater Shooting in Aurora, CO. So for those of you scouring online to see if your local theater is among these anti-gun establishments we at ConcealedCarry.com have put together a list of the major anti-gun theater chains so you know who to check off the list if you don't want to give money to an anti-gun company. 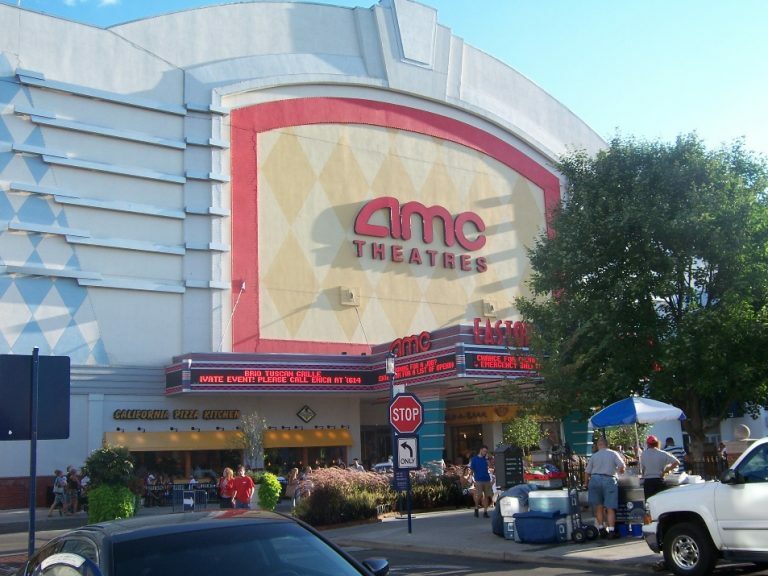 The first chain we are looking at is AMC Theatres. Owned by the Chinese Wanda Group corporation, AMC is the biggest theater chain not just in the United States, but the whole world. Currently, there are 661 AMC Theaters in the U.S. and at all of them, you will hear the following as their policy regarding firearms. “Carrying or displaying weapons of any kind, real or toy” is grounds for removal without refund. AMC is even going so far as occasionally bringing in security guards with metal detectors to check and make sure you are in adherence to the company's policy like this story from Reddit's CCW board shows. So AMC is quite serious about this, it seems. 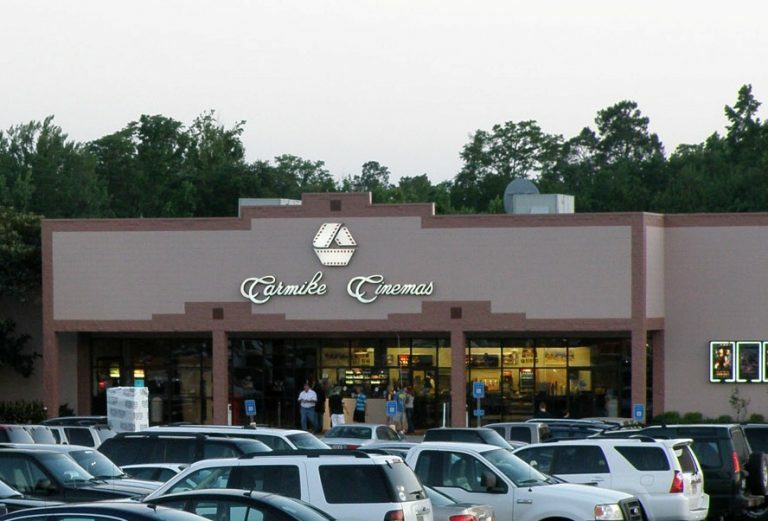 As of 2016, AMC also owns Carmike Cinemas. In many of the 276 locations where Carmike Cinemas used to call home, the theater chain is now known as AMC classic, but if in your area you still see the Carmike name remember that you are beholden to the same rules as you would be at an AMC Theater, which to put it bluntly is strictly anti-gun. 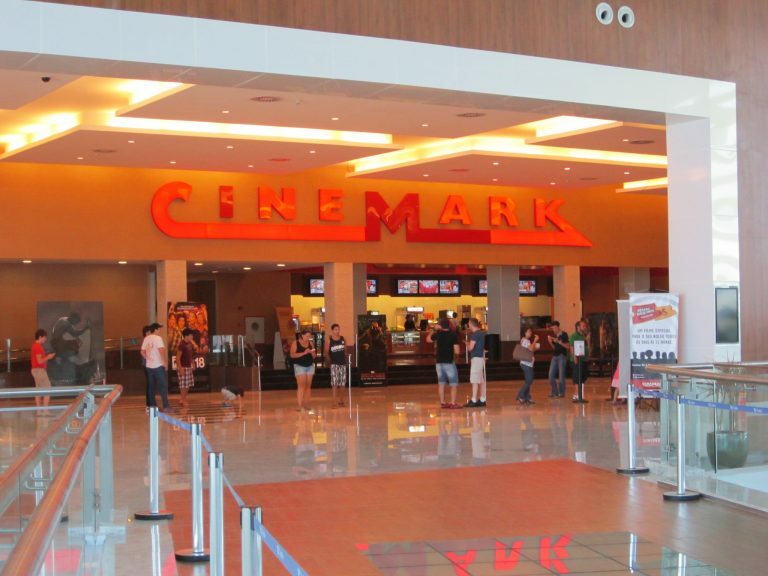 Cinemark is the largest chain of theaters in the United States that isn't under the AMC banner. 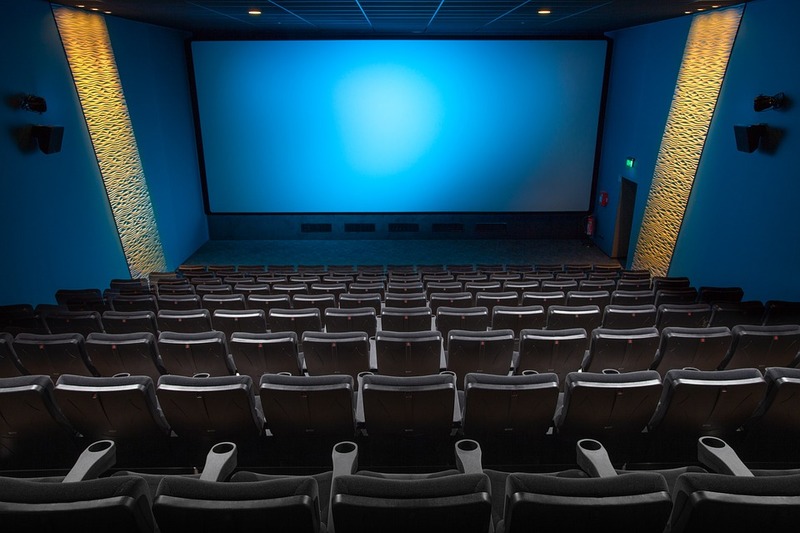 With 576 locations between them and their subsidiaries, Century Theatres, Cinearts, Tinseltown, and Rave Cinemas the company is very large and a good alternative for folks who don't like AMC theatres. For gun owners, however, they might as well just be AMC with a different coat of paint because all Cinemark theaters and their subsidiaries do not allow anyone other than law enforcement officers to carry legal firearms in their theaters. And this was before the Dark Knight Rises Theater Shooting which occurred in a Cinemark run Century Theater. 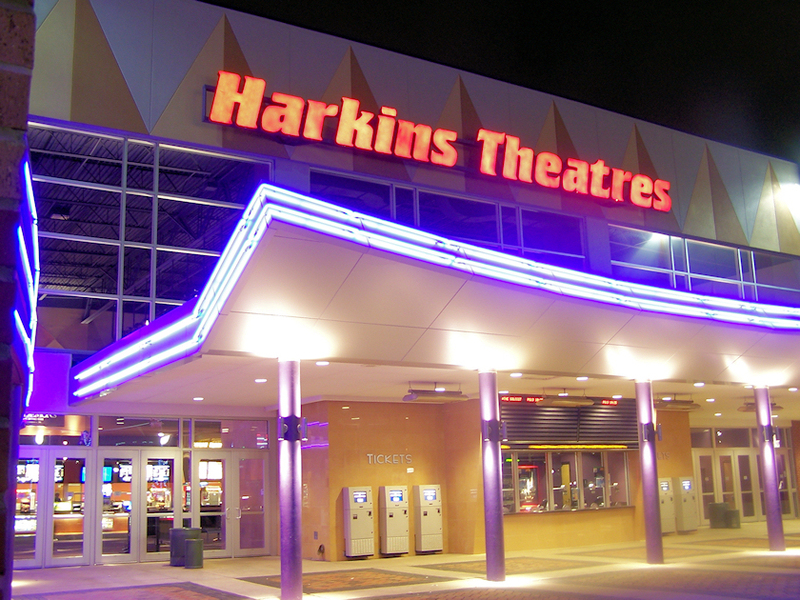 Harkins Theatres are a relatively small but growing set of 34 cinemas mainly located in the Southwest of the United States. With this rise in the company will we be seeing an alternative for gun carrying movie buffs? Unfortunately not. And finally, Regal Entertainment Group. Owners of over 500 theaters including Regal Theaters, United Artist Theaters, and Warren Theaters have, you guessed it, a no guns policy for anyone except law enforcement in their businesses. That means that the top 3 movie theater chains in the country, which account for a vast majority of all theaters are no-gun businesses. Now what? Well, if you have a hankering to see some movies on the big screen this summer, we recommend you always know the gun laws in your state and to find out if a no gun sign carries the weight of law behind it, because there are some states where it does. Then again, if you're like many of our friends who make the choice to boycott anti-gun establishments, then you can certainly add these to your business boycott list. And since streaming films is becoming so much easier and cheaper than a trip out to the movies it might be just as good to stay at home and enjoy your favorite flicks there. So what do you think? Is your local theater firearm friendly? Or are you in the same boat as many of us who are forced into one of these theater chains? Let us know your thoughts on the matter in the comments below. 22 Responses to Summer Blockbuster Special! Which Movie Theater Chains are Anti-Gun? If your carrying concealed, who’d be the wiser? Agree but security twits with metal detectors would bother me. For the signs that read “no weapons”….what constitutes a weapon? Car keys, a belt, high heels…..sound like grounds for a lawsuit if one is removed for a firearm and others can remain. Once again, only if the no weapons sign is present? Who cares. I carry anyway this day and agein soft targets like theaters. Now pass the popcorn and carry on. I thought the no gun sign carried the weight of law behind them in all states? Which states don’t they? It all depends on the laws in each state. Some, like North Carolina, give force of law to any sign, no matter how poorly it’s posted. Others, like South Carolina have very specific signage requirements, both in content and placement, to hold force of law. Non-conformant signs can only lead to trespassing charges. The management has to tell them to leave AND they must refuse to do so before the police can do anything. Some states have no laws giving force of law to any signage whatsoever. You just have to look up the laws for the states you’re planning to visit and plan accordingly. In the Great State of Texas, you can carry on private property unless: 1. There is specific signage prohibiting – businesses must use the exact language called for in public law 30.06 and/or 30.07 or 2. You are specifically notified by the owner, or someone acting on their behalf. If you carry in spite of the proper sign, or after being specifically notified, you must leave, or if you do not leave, you may be charged with misdemeanor trespass. AMC in Kansas (at least in my area of the state) does not have any ‘no weapons/firearms’ signs posted. Kansas’ carry laws are similar to those in Texas. I see it or maybe private property, but it’s a public accommodation. I think ultimately the Supreme Court would say that private property or no if you are opening your doors to the public, you cannot infringe on people’s civil liberties in doing so. Furthermore, having patrons lock their firearms in their cars before the end of the theater is more dangerous then letting property permitted concealed carrier’s and are you theater with their weapons. Smash and grab robberies, plus you’ve got that uncertain Journey from the theatre entrance to the the parking lot to where your car is parked, Plus it’s well known that several of these shooters specifically scouted gun-free zone theaters. Time to warm up my Roku. It is time to hit these businesses where it hurts most. It is the pocketbook that is most dear to them. The list of movie theaters are all this little city in Southwest Virginia has except for some independent theaters scattered around. Today we have the ability to watch most any movie theaters can muster. Their high prices and anti gun control are reason enough to keep my money. Keeping it in my pocket keeps it out of those against my personal views. Adios big screen, hello streaming. Kenny that may work in a small town but not in a metroplex such as DFW in Texas. In a small town they would just and move to another small town! So between AMC, Cinemark, & Regal, they have effectively blocked all traditional movie theaters for legal permit holders to see a movie while having the means to protect themselves & their families. Cars are broken into and perpetrators look for areas of least resistance. I’m in Florida, let’s face it, those 3 are pretty much the only theaters anyone can go to see a movie at here. If I don’t see a sign posted, I’m carrying. But it looks like I’ll be renting, using Netflix, or streaming for the most part from now on. At Regal in Niles, Ohio, there is no legal posting against guns. It is not on the entry, it is not normal sized. Opposite the ticket booth on the wall with a bunch of boiler plate remarks is a small gun symbol, maybe two inches in hight. It is almost as it they hope you carry, but don’t want the liability of allowing you openly. In my area, Coeur d’Alene, ID, there are only two theater options. 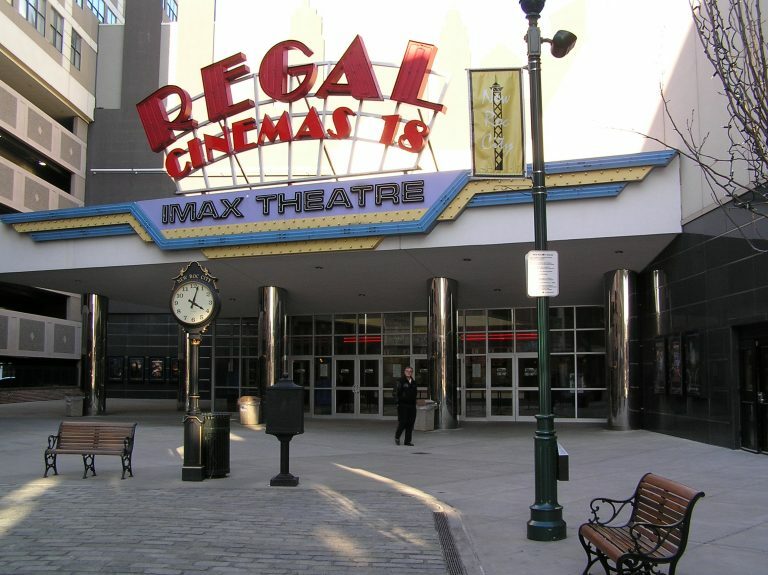 A big Regal multiplex and an independant Discount Theater. They get all the same movies but just a little later than the first line theaters and cost about a third the price of a full price Regal ticket. Same for the popcorn and snacks. As of the last time I checked, there was no sign of prohibition. That is the safer place to see a movie in my area. I have a permit. I carry everywhere except government buildings and schools. Sign? What sign? I don’t see a sign. We have a huge, widescreen TV and very comfortable seats in a dedicated home theater, so we haven’t been to a theater in the past 10 years. Screw them. We can enjoy movies in our own home, pause for food and bathroom breaks, and be safe from crazies who seek out gun free zones. You don’t see these anti-gun theaters refusing to show violent movies do you? Typical Liberal hypocrites. Megaplex Theatres in Utah have a sign that says no weapons but if you read the small print at the bottom it has an exception to the rule. States a state code number and if you go look it up, CCW permits are exempted from the no weapons rule. So a good case of paying attention to the details makes a difference.